Are you like me and have multiple fantasy drafts to prepare for and each one had a different scoring system? If yes, this app has everything you need to take out your competition. 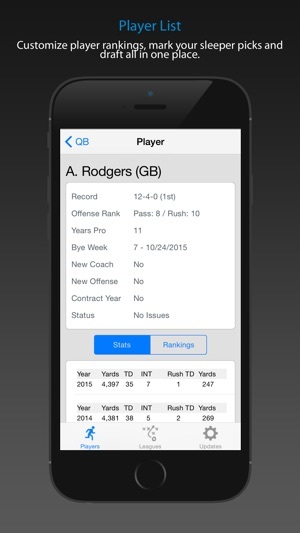 The app comes preloaded with player rankings configured on a standard yardage and touchdowns based system that should get you up and running in no time. You can customize the player rankings or change the scoring system to meet your needs. — Updated user-interface for iPad to streamline your draft. — Includes projected stats for 2018 in player summary and details. — View team picks by position from main screen. — List players by position (QB, RB, WR, TE, PK, Defense, and All). — Search and filter results by player last name. 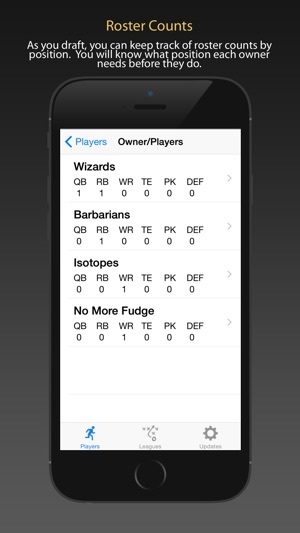 — Assign players to fantasy teams right from the main screen. — View player details by double-tapping player or selecting them from the player summary. — Flag those favorite sleeper picks for the mid to later rounds. — Indicates if player is in a contract year or is working with a new coach or offense. — Displays up to 4 years of player stats including projected status for 2018. 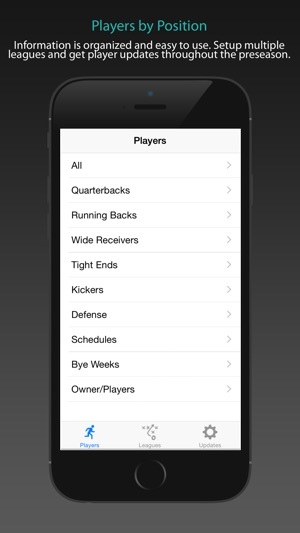 — Show the players schedule by week. — Player comparisons vs. defenses by week. Shows up to 9 additional players and highlights if a matchup is good or bad. — For each fantasy owner, displays the count of players by position. — Select the list to view details by owner on which players were selected and which round they were picked. — Displays owner picks by round. — Allows you to remove a draft pick if necessary by selecting player. — Picks are colored by position to easily spot your opponents weakness or what position they might be targeting next. — Specify number of draft rounds. — Enter as many fantasy owners as your league needs. — Choose from an existing scoring system or create your own customized scoring system. 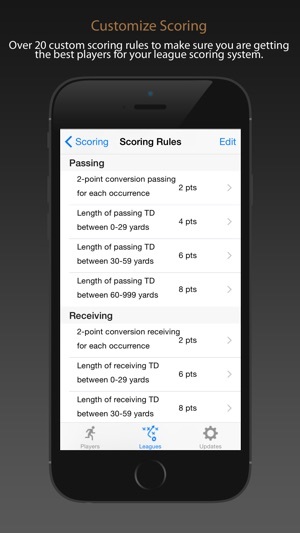 — Customized scoring including passing, rushing, receiving, kicking, defense and bonus categories. 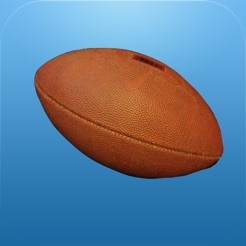 Disclaimer: This app is not affiliated with the National Football League. App has been updated with 2018 player statistics. Spent $4.99 on a junk app that didn’t even have enough room for 14 teams. This was a replacement, as I didn’t want to spend anymore $$. This is a great app itself, would have rather paid for this one than that one. Great customization fits my league draft settings and I appreciate the stats and other great relative information. Thanks for a great app and keeping it free! God Bless America and those that have died for her and those that fight for her! The stats are completely incorrect. I have not updated the application for the 2018 season. I will be updating the data in the next couple of weeks. Great for what is does. 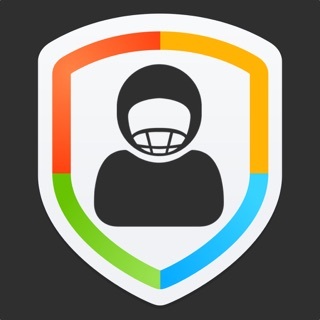 If you're looking for an app to control/organize your fantasy draft, customize your own rankings and assign/remove draft picks to their teams once they are selected into a user friendly grid, this is your app. If you're looking for the consensus player rankings with completely up to date player information and fantasy league scoring systems to be 100% accurate to your custom league, including the use of IDP's (individual defensive players) you will be disappointed. In the end, if you're not too picky and have a solid knowledge base to work with, you will like it. If you need more guidance in order to succeed, look elsewhere.